A Year of Wreaths continues! 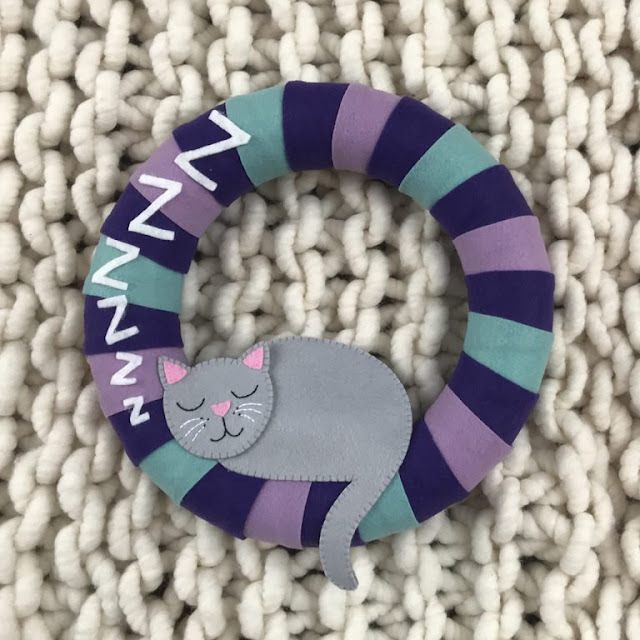 October's wreath is for all you Cat Ladies (or Cat Gentlemen), as it features a cute sleeping kitty. I love this little guy and I hope you will too. 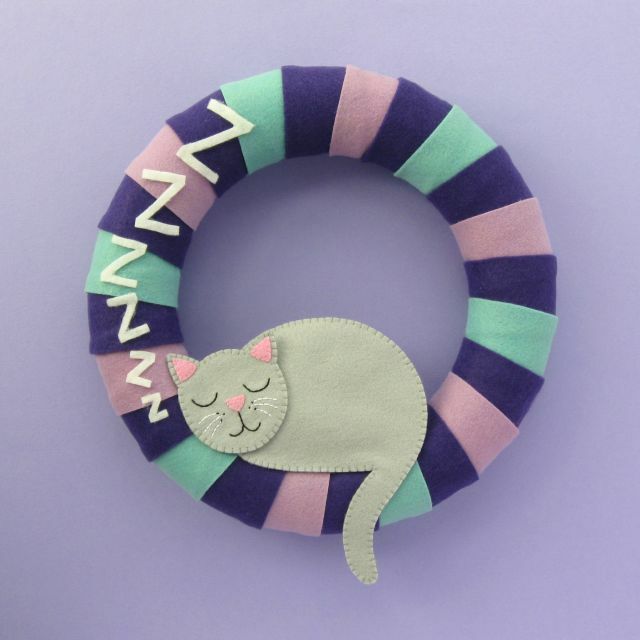 You'll find the free step by step cat wreath tutorial over on The Village Haberdashery's blog. Click here to buy the October wreath kit, or follow the links in the tutorial to find all the individual supplies you'll need in The Village Haberdashery shop. 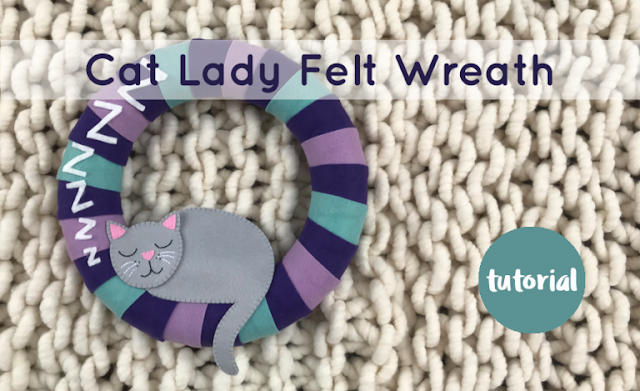 Click here to find all the wreath tutorials in the series. Ooooh, how cute is this...? It reminds me so much of our to cat 'princesses' when they are lying somewhere sleeping (although they are of a different colour). This could be a really nice project for the winter holiday... Thank you! Really loved that one!Although I have a dog. AriadnefromGreece! More Decluttering = More Stuff for Sale!